ATtiny software serial transmit and receive, based the Arduino SoftwareSerial library, and around 1K compiled. That's what I've been working on. Why? 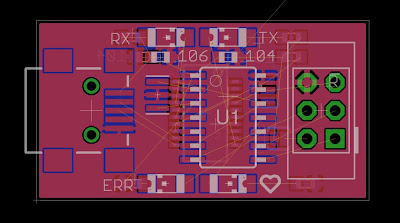 I'm designing a low cost, really small AVR Programmer, that's why. 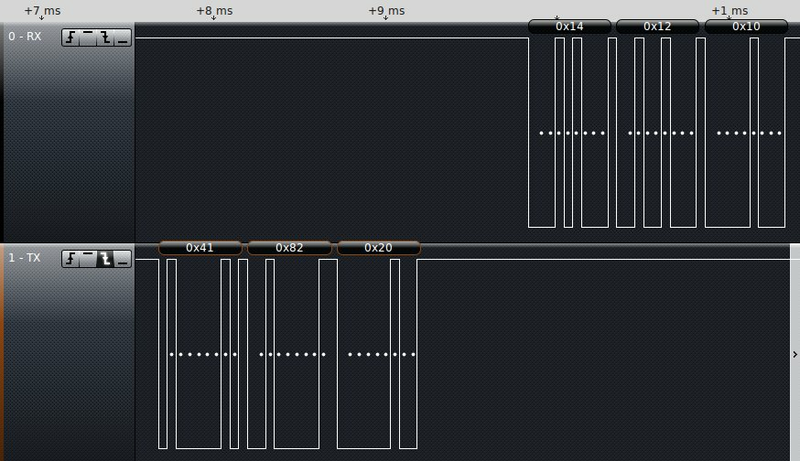 It's based on an ATtiny84A and requires SPI which claims the USI peripheral, leaving no hardware serial. Here are the details on TinySoftSerial. The current Arduino SoftwareSerial library is based on the NewSoftSerial library by Mikal Hart. A few years ago, NewSoftSerial was a dramatic improvement over then-incumbent SoftwareSerial, which is why the new code is part of the Arduino 1.0.x distribution. 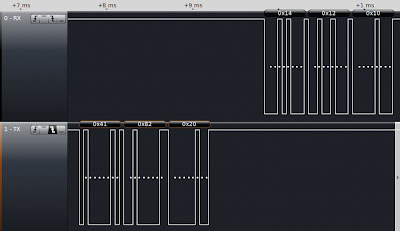 Multiple serial listeners are supported at baud rates from 300 to 115200 though errors above 38400 at 16MHz may be too high and lower rates too slow. Overall, it's a really neat library for typical communications of 9600 - 38400. So you may see why, when I needed serial receive (the hard part), I didn't really feel like reinventing the wheel. I need the library for other projects, too. But I needed something small and with only one software serial instance. I bet you just want the code. Ok, here it is. It shouldn't be too hard to port this to ATtiny85. 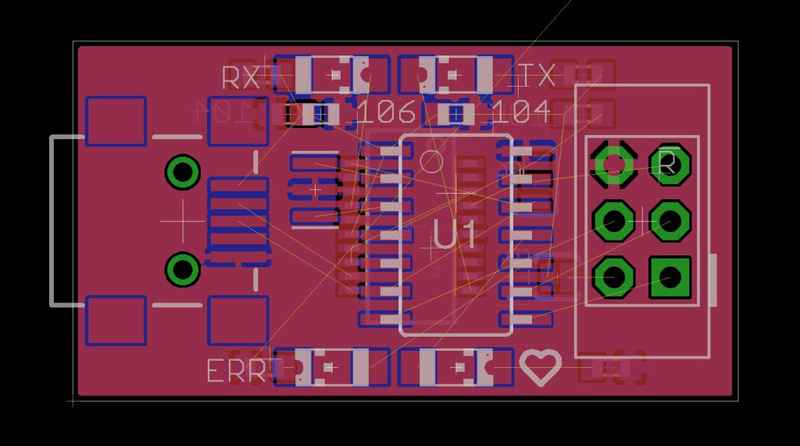 You could port to ATtiny2313 although it has hardware serial separate from the USI. The library is too big for ATtiny13 to do anything useful. I don't use any other ATtinys but basically anything that has 2K flash or higher should be a go. Wow, you could almost use this to build something like Sparkfun's OpenLog. But cheaper, hopefully a lot cheaper. The OpenLog is an SD card with a ATmega328 for serial logging, and sells for $25. I can attach a 328 to a SD card reader for a lot less than that, and I have. But an ATtiny84 makes things even smaller and cheaper. Memory could be a little tight though. Assuming that I use an ATtiny84 with 8 MHz internal clock, how should I modify the timing param? Robot, take out the trash!